Nora Johnson is leading the charge in health care reform, focusing on errors, overcharges, and other medical billing mistakes that cost American consumers billions of dollars every year. A passionate advocate for the millions of uninsured patients in America today, Nora is bringing her expertise to attorneys for the first time ever. Now, attorneys have an expert hospital bill consultant to call on when a client is facing litigation or even bankruptcy because of huge hospital bills. Nora regularly appears as a medical billing expert on the hit CNBC show On the Money with Carmen Wong Ulrich, and her work has also been featured on nearly every major news show, website and publication in the country. She is a healthcare consultant, lecturer and author, and has consulted with the Department of Energy & Commerce’s investigation into hospital billing of the uninsured. 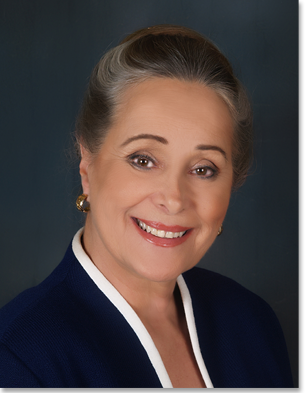 She has lectured the National Health Care Anti-Fraud Association on the subject of hospital fraud, submitted a report to the Federal Committee on Ways and Means, and addressed the Texas OIG (Office of Inspector General) and Texas Medicaid concerning hospital fraud. Copyright © 2009, Nora Johnson. All rights reserved.